Delhi High Court Chief Justice NV Ramana has been appointed as Supreme Court judge by the order issued by President Pranab Mukherjee dated 08-02-2014. He is likely to assume office as Supreme Court judge on Feb 13. 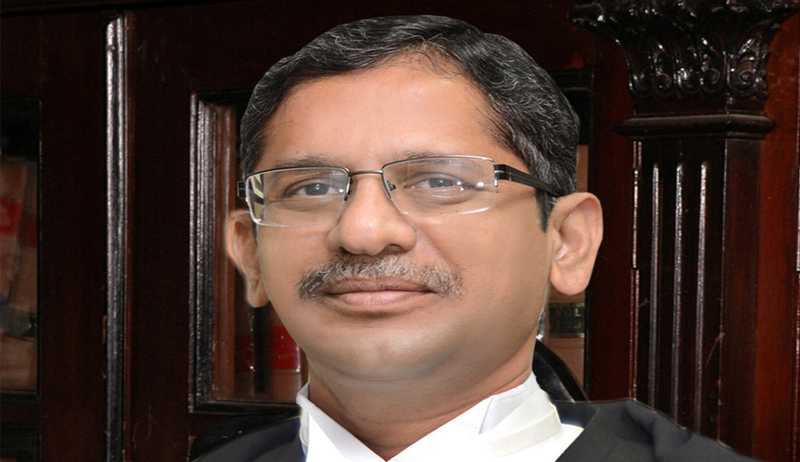 Justice NV Ramana, is presently Chief Justice of Delhi High Court and formerly acting chief justice of the Andhra Pradesh High Court from March 10, 2013 to May 20, 2013. He was elevated as the chief justice of Delhi High Court on September 2, 2013. Name of Justice NV Ramana was recommended by the Supreme Court Collegium headed by Chief Justice of India P. Sathasivam. Live Law report here. N.V. Ramana, B.Sc., B.L., was born in an agricultural family on August 27, 1957 in Ponnavaram village, Krishna District in Andhra Pradesh. He enrolled as an Advocate on February 10, 1983. He has practiced in the High Court of Andhra Pradesh, Central and Andhra Pradesh Administrative Tribunals and the Supreme Courts of India in Civil, Criminal, Constitutional, Labour, Service and Election matters. He has specialized in Constitutional, Criminal, Service and Inter-State River laws. He has also functioned as Panel Counsel for various Government Organizations. He has functioned as Additional Standing Counsel for Central Government and Standing Counsel for Railways in the Central Administrative Tribunal at Hyderabad. He has also functioned as Additional Advocate General of Andhra Pradesh. He was appointed as a permanent Judge of the Andhra Pradesh High Court on June 27, 2000. He functioned as Acting Chief Justice of Andhra Pradesh High Court from March 10, 2013 to May 20, 2013 and elevated as the Chief Justice of Delhi High Court on 02.09.2013.